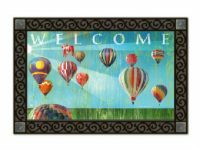 Colorful hot air balloon spinners are always a popular gift! 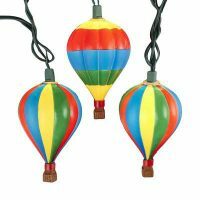 The Diagonal Stripe design features a 11″ balloon and includes a removable rainbow twist tail that spins in the breeze to create wonderful color and movement. Ships flat – just insert the fiberglass rod tips into the disc at the top to bring your spinner to life. 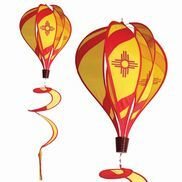 Durable nylon fabric is also lined with plastic on the inside for longer life and a classic balloon shape. To extend their life, we suggest all spinners be hung in a protected area where they can enjoy a light breeze, or bring them in during very strong winds.